This one was very simple, but adds a good deal of protection for the money. The rear bumper on the C-max has the same beautiful paint as the rest of the car, with one problem - it is the same paint as the rest of the car. It is not hard to see how any minor abuse could make the bumper look worn, and it can happen fast, so thankfully somebody produced this bumper protector. It is about $40 and can be bought either at Ebay or directly from their website. It comes with everything needed and is set up for a quick install. They have the 3M tape already applied and even have tabbed the backing so all you need to do is place it down (I taped it in several places) and then peel the tape while holding it in position. Getting the positioning took 5 minutes and getting it taped down took less than one minute. It is a great product and should have been stock, but since it is not, I'd recommend buying one. 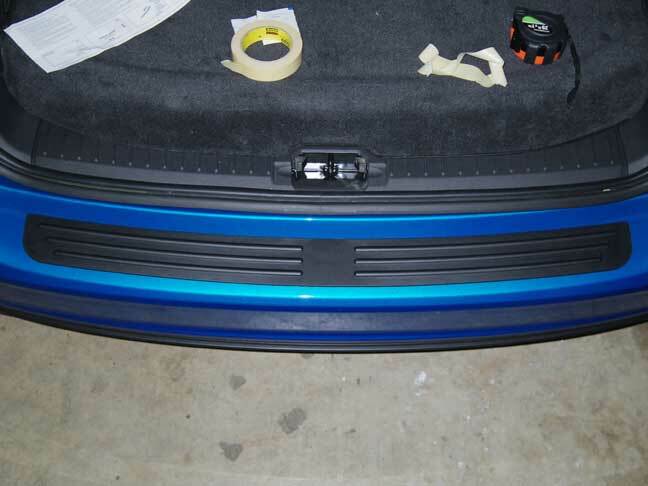 UPDATE: I read that ﻿this bumper protector﻿ (need to enter the vehicle details to see the product and it is from the UK, but according to what I read online, it should work). 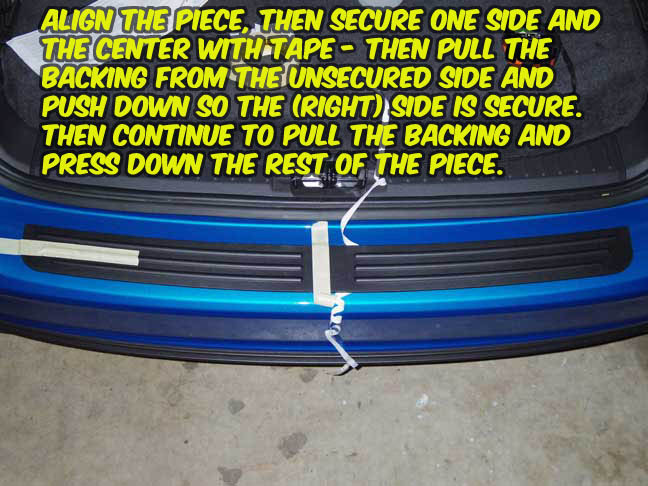 also works and it covers more of the bumper (including the edge). I think I would get it instead.